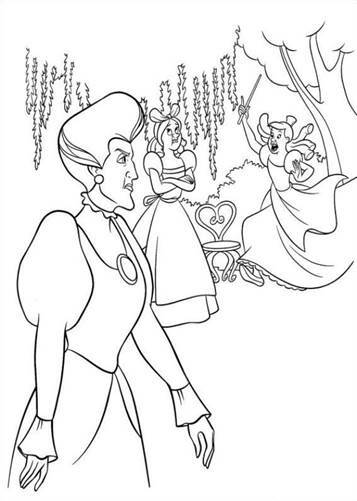 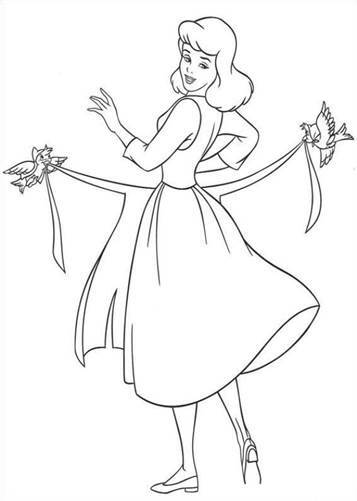 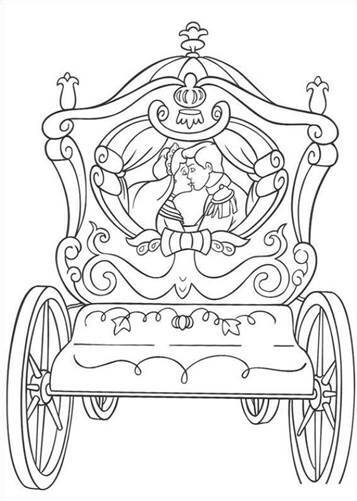 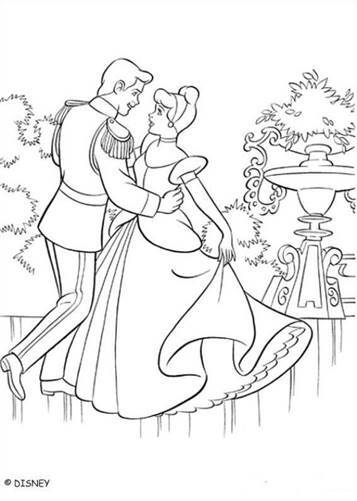 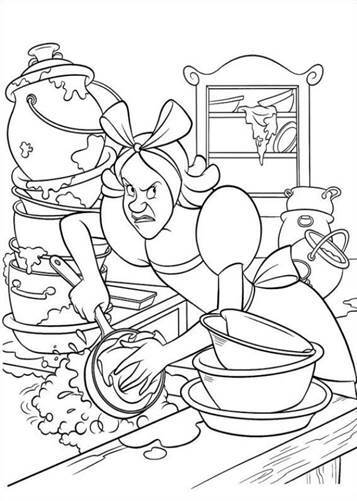 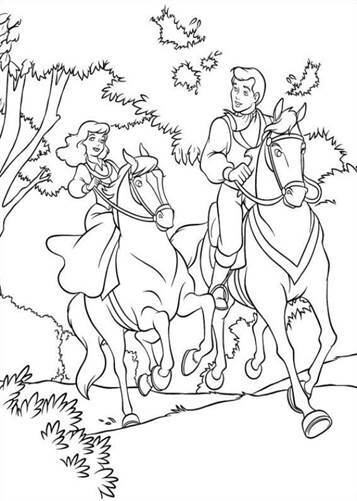 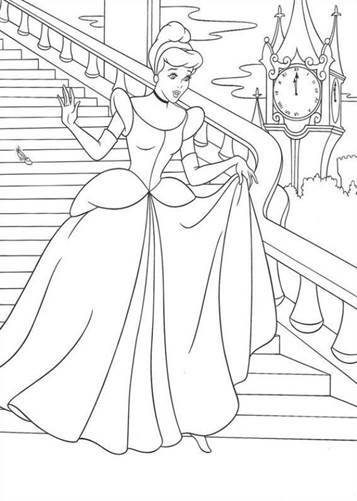 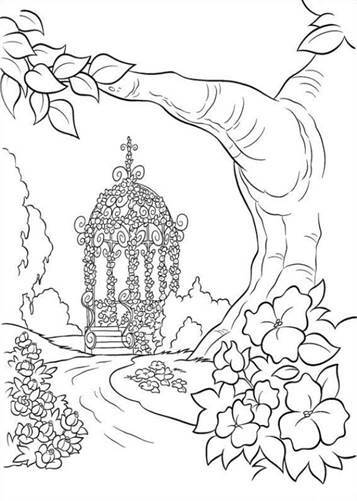 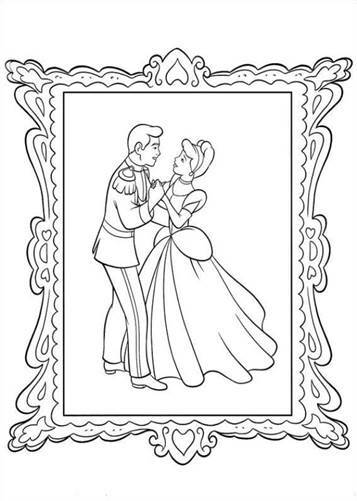 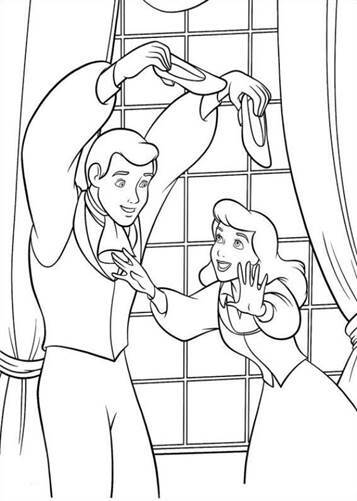 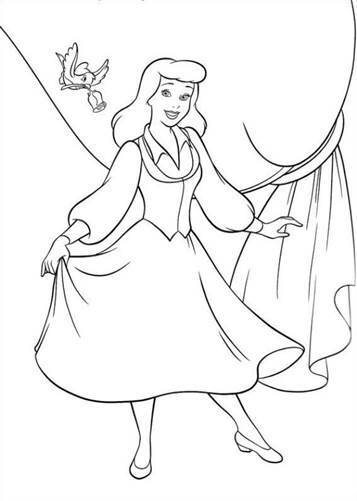 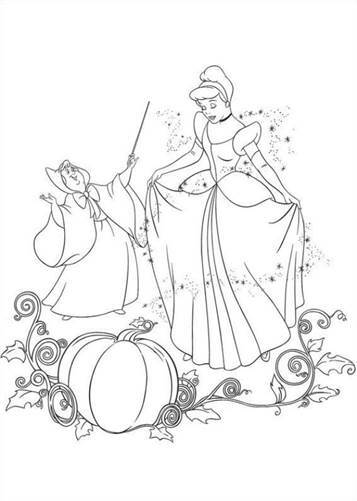 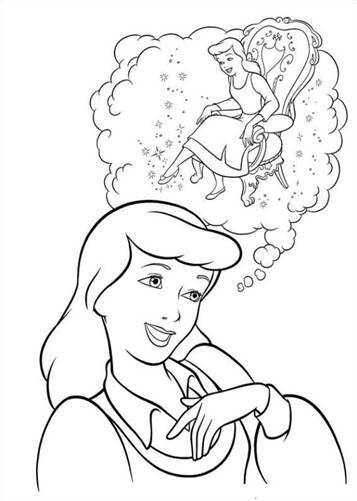 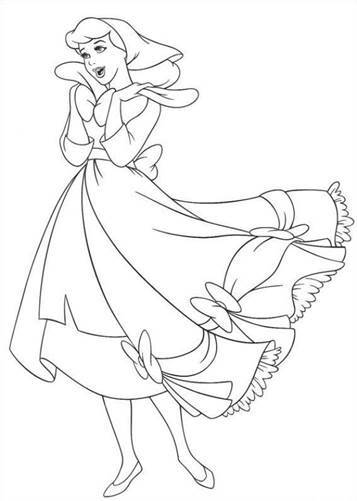 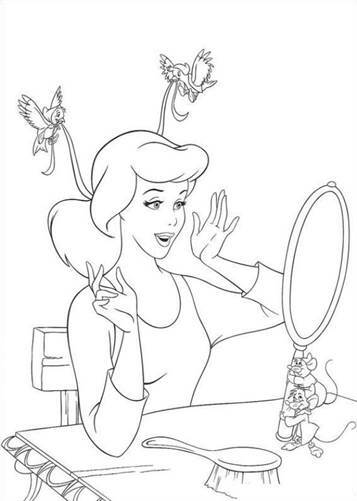 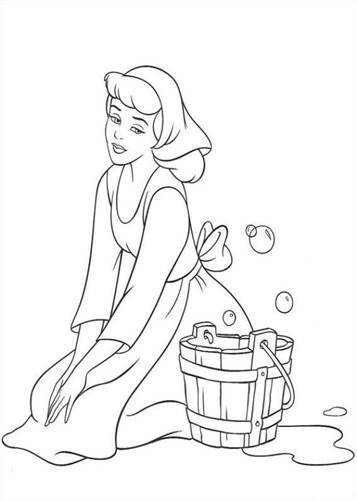 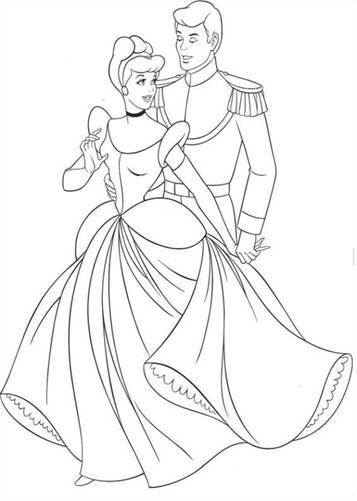 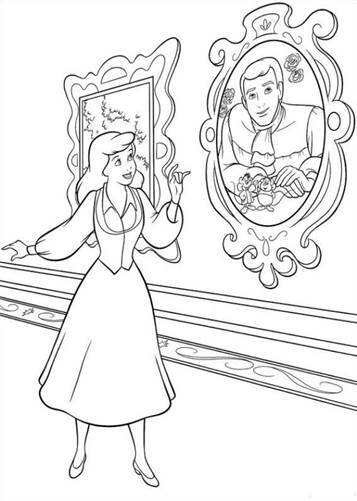 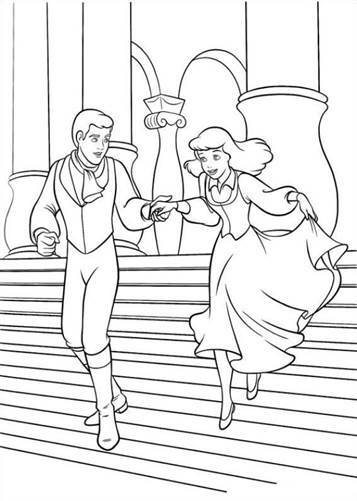 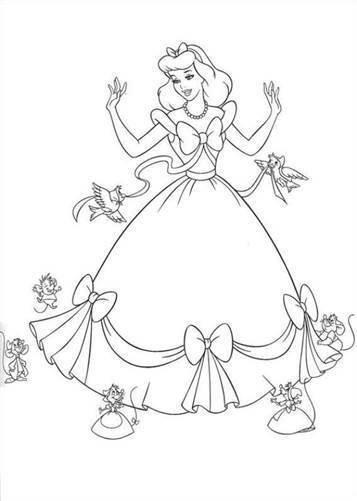 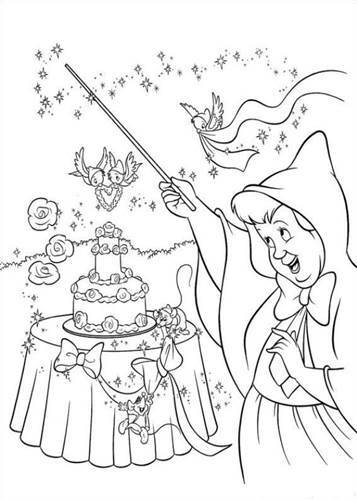 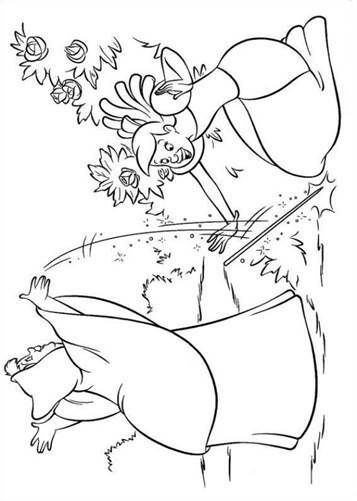 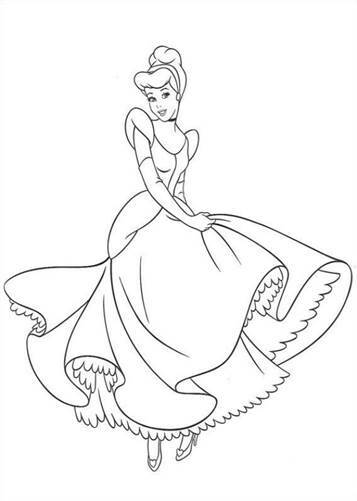 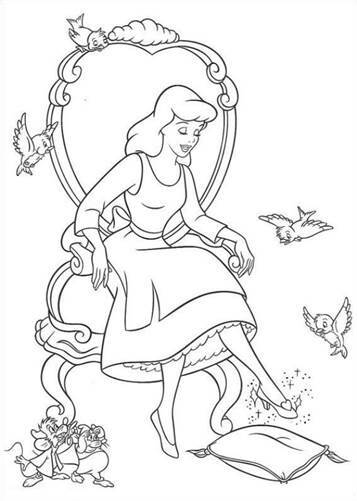 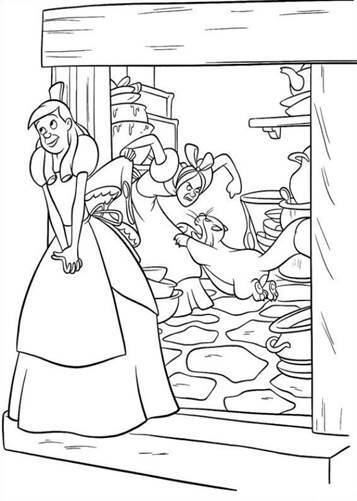 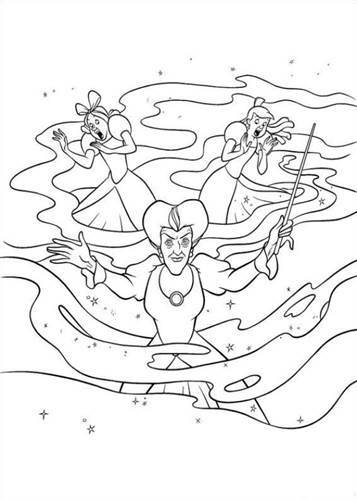 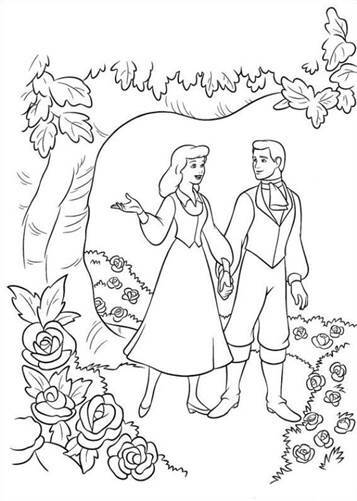 A favorite fairy tale, Cinderella, beautiful coloring pages of Cinderella, the good fairy and the prince. 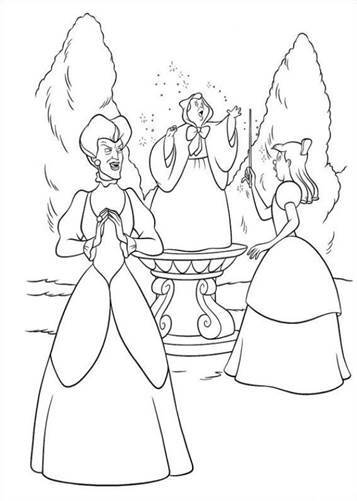 This is the Disney version. 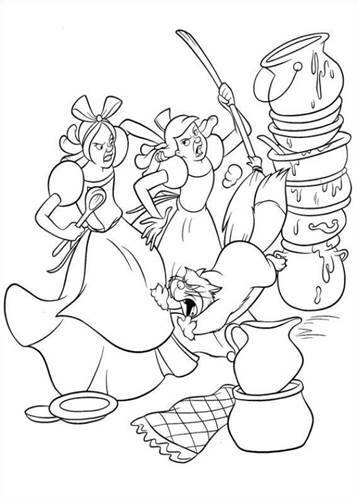 The story is about a girl who is obliged to do all the work for her evil stepmother and her two mean daughters. 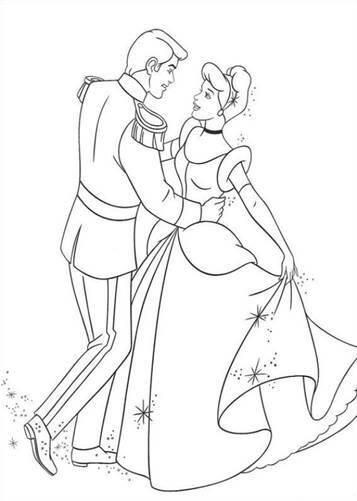 One day a letter from the king orders all the girls from all over the country to come to the ball so that his son, the prince, can marry the girl of his dreams. 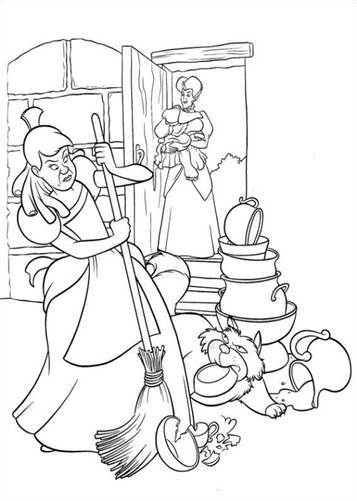 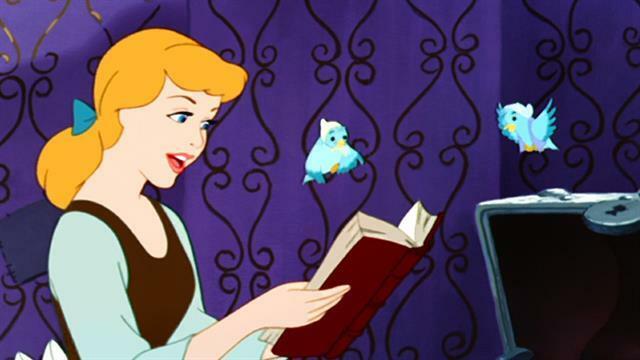 Once again the unjust treatment of Cinderella appears. 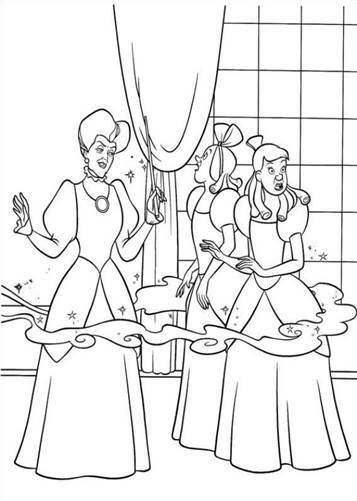 The daughters of the evil stepmother get beautiful dresses, Cinderella has to put on rags and is thus prevented from going to the ball.